Now you can safely talk on your cell phone and drive! 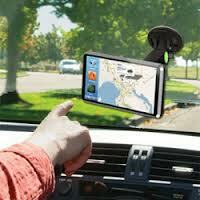 GripGo As Seen on TV is a cell phone car mount that allows you to talk and drive safely. Grip Go works with any cell phone or GPS and is so simple to use. All you do is mount the GripGo to your dash or windshield, no adhesives or tools needed, and instantly grip your phone or GPS to GripGo. With everyone on the go these days, you need to be able to talk on your phone while driving, but we all know this is dangerous. And, with new laws in place, you just can't hold your phone to talk and drive anymore. That's what makes GripGo the perfect, practical product needed for anyone who is constantly in their cars and talking on their phone. 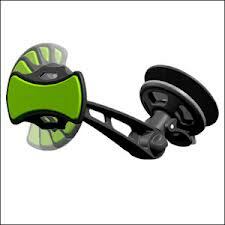 The great thing about GripGo is that it can be used with any cell phone or GPS unit. Was skeptical of the magnetic holders they're offering at truck stops nowadays, they're not compatible with all phones. I have a new Verizon Motorola G6 Play, hefty lightweight nonmagnetic. This holder was only $9.99 and that's a steal at a truck stop, considering they jack up prices. I wasn't sure what to expect but, the GripGo has proven itself for the last week over 2k miles! Absolutely no issues reading clear instructions, installation was really simple, too. The ease of positioning my phone and the stand was better than I expected. Haven't had to readjust either and it's outlasting other holders I've used. Will definitely recommend this product, especially since a semi will put anything to the jiggle, bump and rigorous test! !